Notably, the backpack accessory will further cost buyers $599.99 (roughly Rs. 38,700). 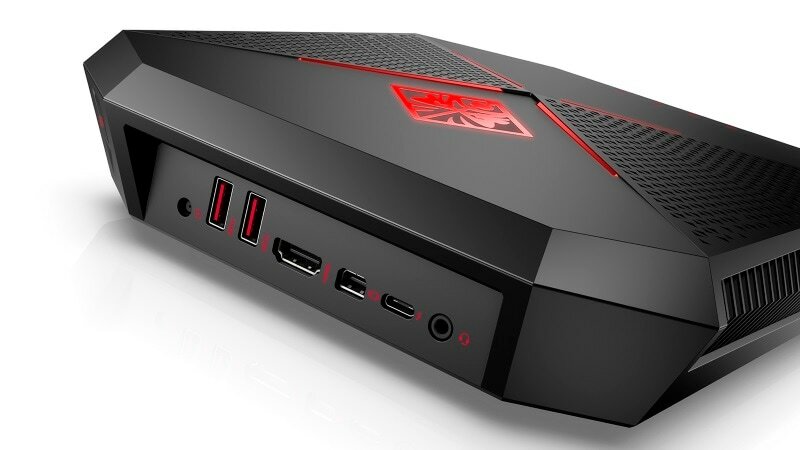 Both the accessory as well as the Omen X Compact Desktop will be made available by HP in July. The dock station further adds several ports that allow users with more connectivity options. Moving to the new Omen Desktop, the desktop can now be configured with two graphic cards and the company is offering processor choice of either Intel or AMD Ryzen processors. The desktop comes with swappable hard drive slots. The pricing for the new desktop, model with a GeForce GTX 1050 graphics card, starts with $899 (roughly Rs. 57,900) and will be made available for purchase from Tuesday. Coming finally to the 15-inch and 17-inch laptops from the company, the updated portable devices will be made available with Intel Kaby Lake processors. While the 15-inch variant will be made available with up to AMD Radeon RX 550 or Nvidia GeForce GTX 1060 graphics card, the 17-inch variant will come with up to GeForce GTX 1070 or Radeon RX 580 graphics. Notably, the laptops come with variant display options and the RAM as well as storage is upgradeable. While the pricing for the 15-inch variant starts from $999 (roughly Rs. 64,400), the 17-inch variant will start from $1,099.99 (roughly Rs. 70,800) when the laptops will be made available on June 28 later this month.